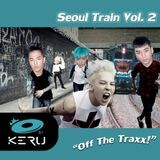 KPOP MIX - Seoul Train Vol. 1 - Hallyu Express! KPOP MIX - Seoul Train Vol. 2 - Off The Traxx!